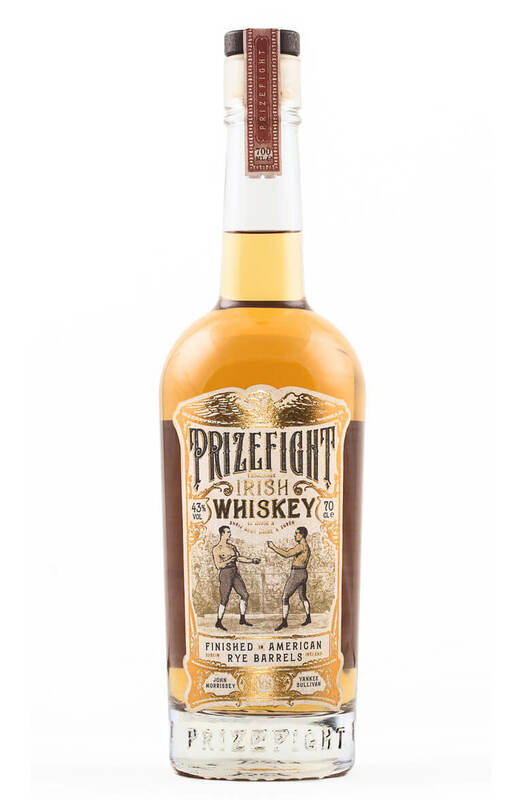 Prizefight is a unique Irish whiskey that was distilled at West Cork Distillery and aged in barrels sourced from Tamworth Distilling in New Hampshire, USA. The rye barrel maturation has added some subtle mint and herb notes whilst giving the whiskey a fresh and lively character. Enjoy straight or over ice. Nose Light and delicate with aromas of vanilla, stem ginger, green apples, mint, sawdust and lemon peel. Palate Fresh and lightly fruity. Flavours of lemon cream, vanilla, ginger, oak, apples and some prickly spice. Types of Barrel used for Aging Finished in Rye barrels.